Malayalam actor Krishna Kumar's daughter Ahaana Krishna put forward her steps in Malayalam movie industry and the buzz is that she will kick start her career with Rajeev Ravi's next directorial venture, which will feature Farhaan Faasil in lead character. As per the reports, she has nodded for the project on some conditions, which will not suffer her studies. her with the proposal of "Annayum Rasoolum" to star opposite Fahadh Faasil, which she declined for her studies. 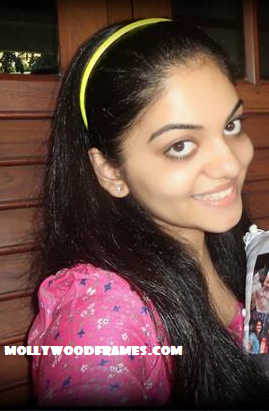 Ahaana Krishna is currently pursuing her degree in Chennai. But this time, Geethu Mohandas wife of Rajeev Ravi, succeed to induce her for the role in terms of shooting schedule will take place on her holidays. This new movie hasn't get the title yet and the location of this movie is Trivandrum. Well she missed the opportunity with elder brother Fahadh Faasil and now she can redeem that with younger brother Farhaan Faasil.... !